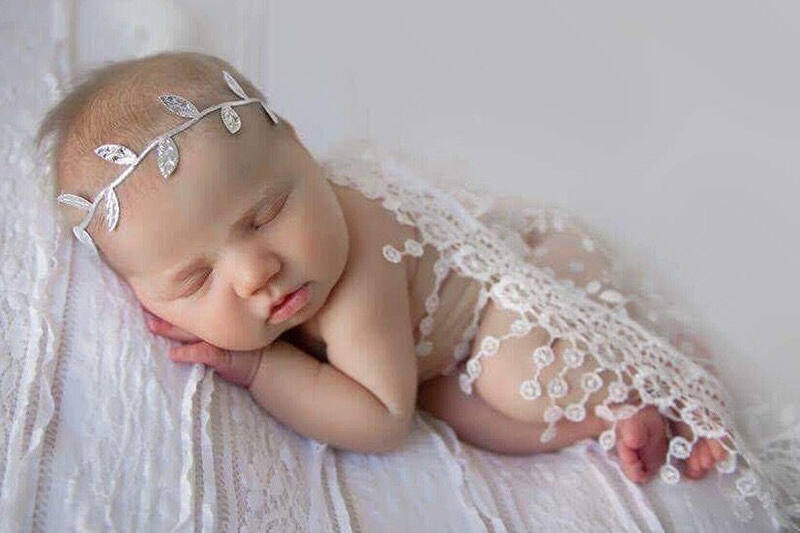 White Newborn Baby Lace Wrap with Fringe AND/OR Silver or Gold Leaf Headband - photo shoots, bebe, foto, photographer, Lil Miss Sweet Pea. This wrap is a triangle, it measures 45 at the widest part and 15 in the center for the height, including the fringe. Solid white wrap shown in some model pics is NOT included. 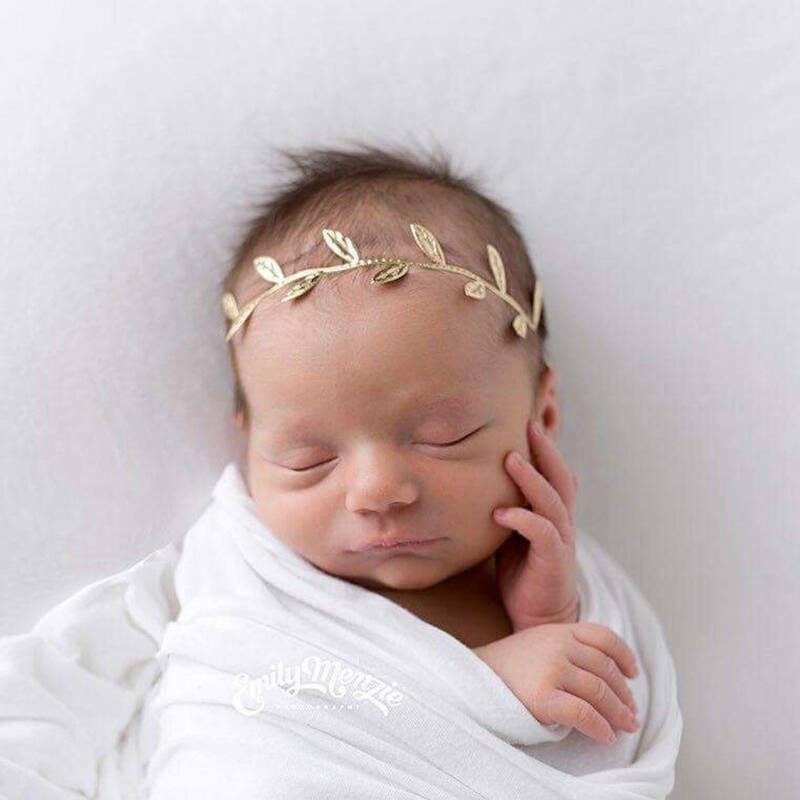 Headband included in this set is a newborn size, 0-6 months 13 inches. 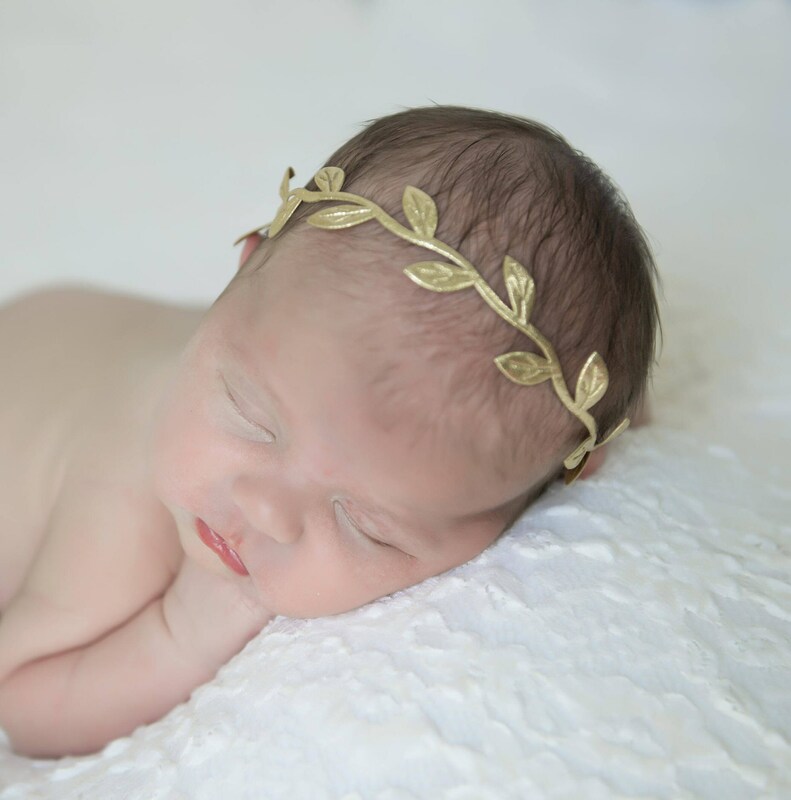 This headband is available for older girls in another listing under headbands. Beautiful goodies and super fast shipping. Gail was wonderful to work with and went above and beyond to meet my crazy needs. Thank you so much! 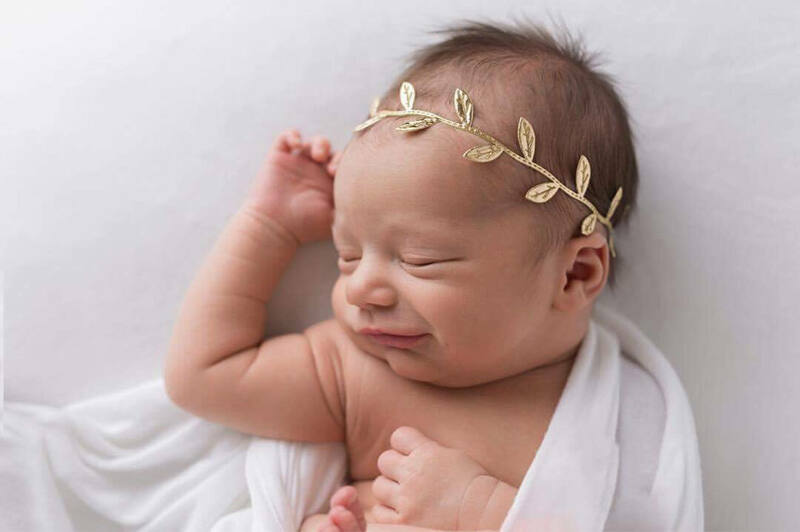 Highly recommend LilMissSweetPea Boutique!